If you had to pick one medical procedure that is becoming more and more popular all around the world, what would it be? The honest answer may surprise you: it is Botox. In fact, in 2014 so far there have been over two hundred and forty six thousand Google searches for the term ‘Botox’ . . . every single month. That makes over a million people that are looking into whether or not Botox is the best thing for them, and that means that there is a huge pool of patients just sitting out there, desperately searching for Botox expertise. If you are a medical professional, but you do not currently have Botox training, then this is the time for you to really invest in your professional development, as well as encourage extra income for you and your family. Many health professionals do not like to include a new procedure into their medical repertoire, because they believe that it will be complicated and expensive. However, this amazing Online Botox training course will quickly prove that this is definitely not the case when it comes to Botox. You will only need to take one quick training course to be able to offer your patients Botox injections, and the materials instantly cover themselves. What’s more, unlike many other types of medical procedures, a Botox treatment will almost always take less than ten minutes, which means that you can organise many of them into one day, bringing you a higher level of profit. The Online Botox training course has been carefully designed by Dr Howard Katz, a man who has been at the forefront of Botox research and design for many years. He is very well regarded in his field, and even holds the patents for many of the injections that you will use throughout your training. There is absolutely no one better to create a state of the art training course for Botox administration, and many people throughout the world are ecstatic that the knowledge and skills of Dr Howard Katz will now be available throughout the world. But beyond the incredible medical training that this Online Botox training course provides, there is also the added bonuses of the extra business training that Dr Howard Katz has made available to all of his students. This training with enable you to carefully market your Botox treatments, and ensure that you keep patients coming in for the injections. It will also teach you how to ensure that your patients have a wonderfully positive experience, giving you an excellent reputation and meaning that you can rely on recommendations to others. Do not leave it to others to make a small fortune from administering Botox treatments, and do not let your potential patients go to those that are not fully trained and could cause them harm. 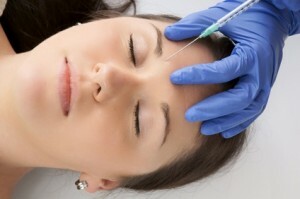 Now is the time to really invest in Botox treatment and care, and there is no better way to do that than to take on the Online Botox training course.